Country Music fans enjoyed a weekend across many venues. Venues across The Entrance came alive as the Central Coast Country Music Festival returned to the region for three jammed packed days of live music and entertainment. Kicking off on August 10 and running right through until the evening on August 12, over 35 different acts descended on the beachside suburb to ply their craft and entertain festivalgoers. The 2018 festival showcased a massive line-up of quality Country Australian performers, including feature acts such as the Adam Eckersley Band, Homegrown, Peter Denahy, Gretta Ziller, Andrew Swift, and this year’s Toyota Star Maker Winner, Brad Cox. 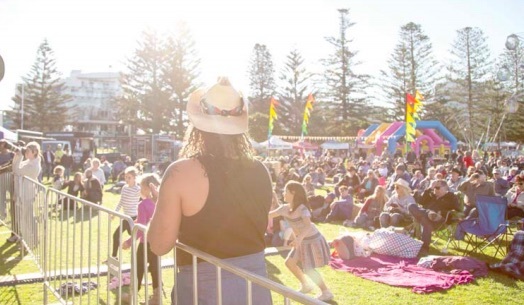 Memorial Park was again the central hub for this year’s festival, which was the biggest and best one yet, according to Central Coast Council’s Community Partnerships Unit Manager, Glenn Cannard. “It’s no secret that locals enjoy this format of music, which is why the festival has been so consistently popular over the past few years,” Cannard said. “Council estimates that around 7,000 people attended the festival’s main venue of Memorial Park, but this doesn’t account for all the festivalgoers that visited other private venues hosting artists or holding their own special events over the festival weekend,” he added. According to Cannard, the festival continues to be a highlight on the Central Coast calendar as a family-friendly event that has something for everyone. “Over the three days, we had markets, food stalls, roving entertainers, amusement rides, games and other activities, and of course a huge lineup of live music to be enjoyed. “The festival always ticks a lot of different boxes for different people and we attribute that to its enduring success. This year’s event was also the first festival to utilise the newly improved facilities at Memorial Park, including the improved Memorial Park outdoor stage and recently refurbished barbecue and dining area next to the Memorial Park playground.